While I could extensively discuss the glories of grandparenthood, I’ll just say this; it is even better then everyone says it is. 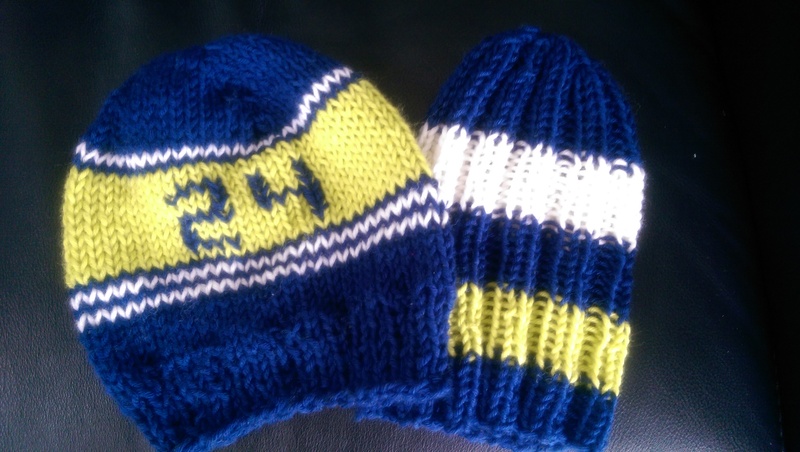 I’ve decided to quit knitting Seahawks hats for them long enough to talk about what they eat. I couldn’t ask for a more well fed 19 month old granddaughter. 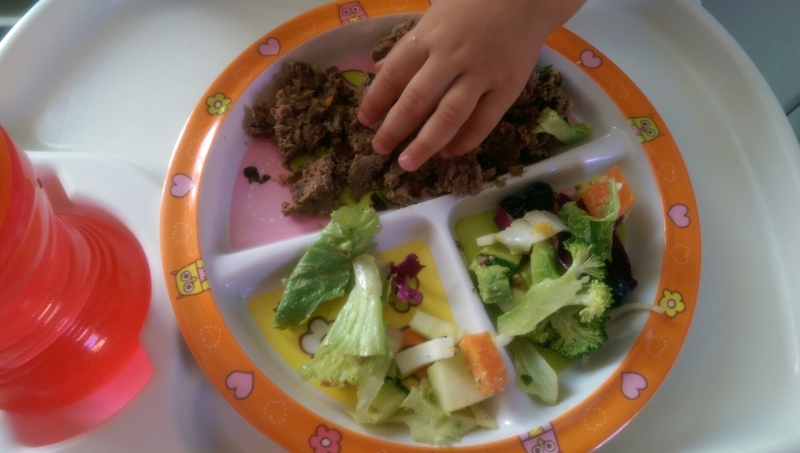 I feel so lucky to have children who understand the role and importance of feeding real, nutrient dense food to their babies. And that they were willing to educate themselves from numerous sources, but mainly through Chris Kresser’s Healthy Baby Code. (www.chriskresser.com) They started her off of course on breast milk, introducing no foods before six months and then began soft boiled egg yolks for a week, then avocado and surprisingly liver which she enjoyed. 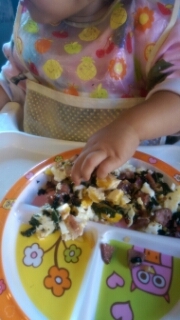 She currently consumes the healthiest looking meals I’ve seen a kid eat. Here are two of the meals she ate last Sunday. 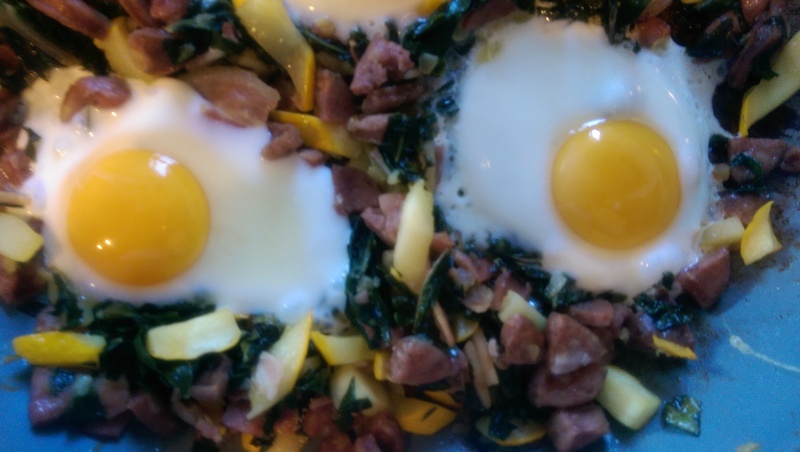 Breakfast: Organic kale, zuchhini & onions cooked with bacon, chicken sausage & a soft fried pastured egg. She also enjoyed some fresh blueberries and strawberries after she finished her breakfast. Water for a beverage. Dinner: Meatloaf (see previous post for ingredients) & raw veggie salad. Water for a beverage. Now, baby boy is 7 months old and has absolutely no interest in anything other than Mama’s milk. I wish I had a picture of his face when we were trying to give him some sweet potatoes. Let’s just say he was obviously opposed to them. 🙂 His mom’s plan is to try putting some small chunks of soft food choices (avocado, sweet potato or banana) and let him choose what to try. He puts absolutely everything in his mouth so maybe he’ll do better when he’s shoving it in there. Until then he’ll be fine eating breast milk as he is quite the big boy already. Happy day to all and GO SEAHAWKS!